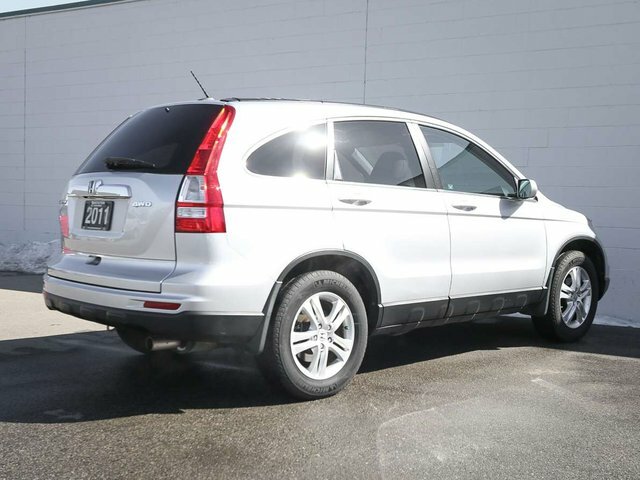 This 2011 Honda CR-V EX-L is in great condition, and has very few kilometers given the year! 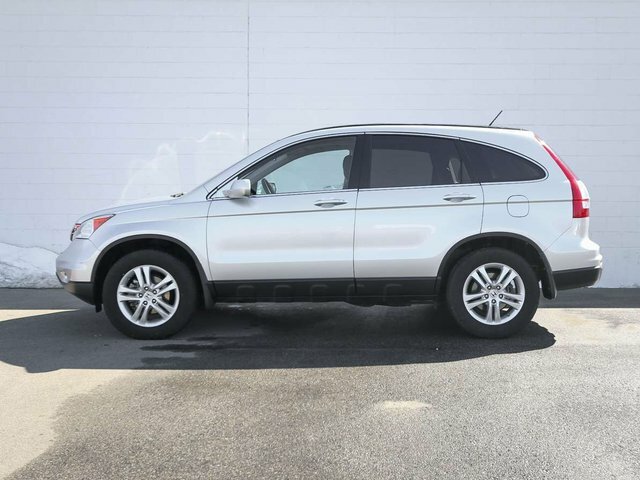 The CR-V was recently traded in for a 2019 CR-V, by it's only owner. Purchased here, at our dealership in May of 2011, for around $28,100 MSRP. Powering this 4WD SUV is 2.4L 4 cylinder engine that produces 180hp and 161lb-ft torque combined with an automatic transmission, that can get up to 27MPG! The Alabaster Silver Metallic exterior shows nicely, and it is evident how well the CR-V has been taken care of. The black leather interior is in great condition, and has never been smoked in. Comes with 2 key fobs, a valet key and original owner's manuals. For peace of mind, we put the CR-V through a multi-point, comprehensive used vehicle safety inspection to ensure driving quality. As part of that inspection we only had to change the oil/filter and fill the tires with nitrogen for longer wear. 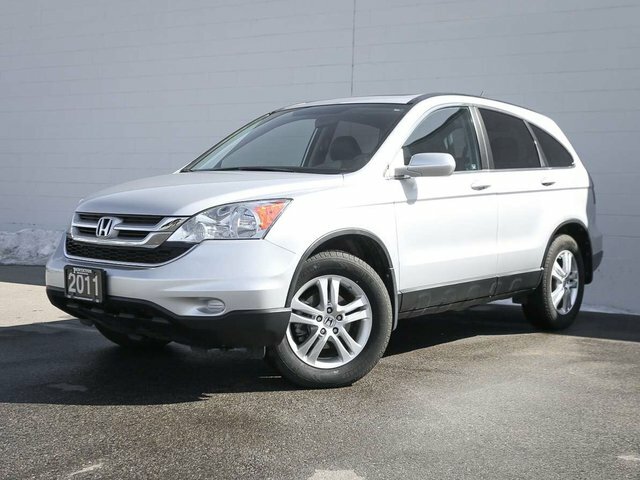 Some of features in this 2011 EX-L model include power windows/locks/mirrors/sunroof, AM/FM/SXM/6-disc audio system with USB/AUX input, cruise/audio and Bluetooth steering wheel controls, reverse camera, heated leather front seats, traction control, dual climate control, cargo cover, 2 sets of tires and so much more! Higher Price+ $549 ABOVE avg.